Walk into any pub or bar and you’ll be greeted with the usual selections of beer. Craft beer is slowly inching into the spotlight, with the introduction of the craft beer bar (naturally we refer to an older Poskod article, but for a more updated version, check out Seven Pie’s list here). 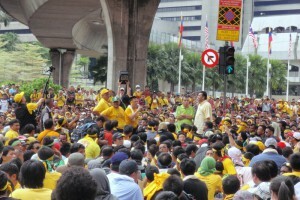 So, what does the craft beer scene in Malaysia – or KL, rather – have to look forward to? 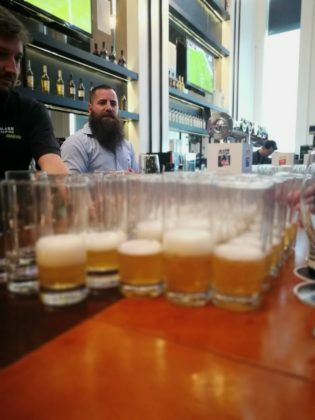 We were recently invited to an exclusive experience at Le Méridien Kuala Lumpur to sample a new brand of craft beer soon to hit the Malaysian shores, which is expected to debut at Le Méridian’s Craft Beer festival. Mash Brewing from Perth, Australia (they have a brewery at Swan Valley for those of you familiar with the geography of little Malaysia). 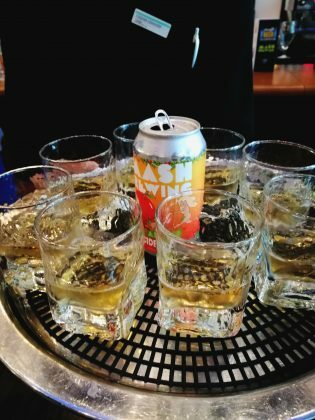 Mash Brewing has been around since 2006, and they have a legit ambassador to boost their credentials. That’s Scott Earley, brand ambassador of Mash Brewing, in all his bearded glory. Before you dismiss him as a fancy figurehead, we actually learned a thing or two from him about beer. For instance, did you know that the foam at the top of beer actually has a function? It prevents oxygen from getting into beer. 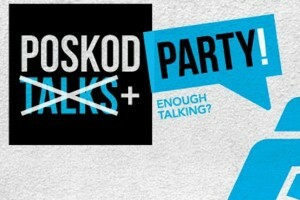 While we humans benefit (greatly) from oxygen, oxidisation makes beer stale. So there you go. That’s the only fact we remembered because by the time we got to tasting the 3rd glass of beer things got a bit hazy. The one thing that stands out for us for Mash Brewing is the experience. Not just of drinking the beer, but the moment you look at the beer can/bottle placed in front of you. 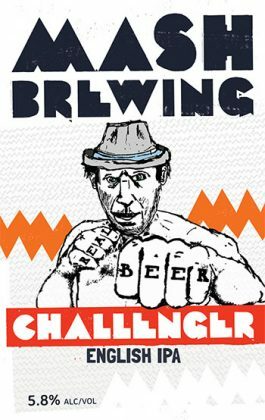 They support local artists by having their artworks on the bottles and cans, plus some pretty interesting backstory to how they name their beers. Here’s a quick rundown, and we promise it’ll be worth your time and your calendar space when the Le Méridien’s Craft Beer Festival is announced. The artwork is inspired by the biblical concept of of Adam eating an apple from the tree of knowledge. 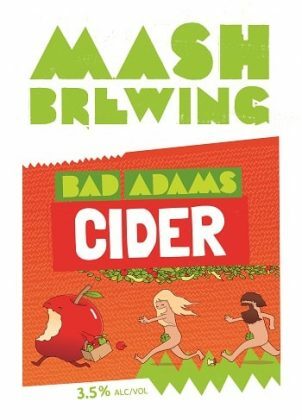 At 3.5% alcohol, this is definitely something you can savour all day long, and we promise this isn’t as sweet as the ciders you can currently get your hands on. Brewed in the English style with generous Whirlpool and Dry Hopping from English and N.Z hops. Tropical fruit on the nose, moving into Apricot and Orange with complimentary caramel malts. 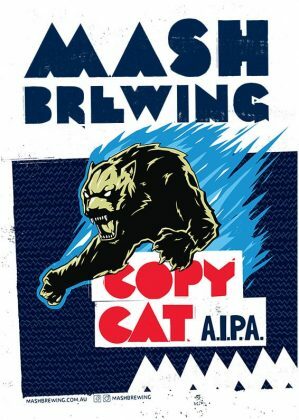 One of Australia’s most awarded and best beers, the Copy Cat is bulging at the seams with tropical, piney, resinous hop bitterness and aroma. Malt is just here to hold it all together and stop the bitterness spilling out into the streets. 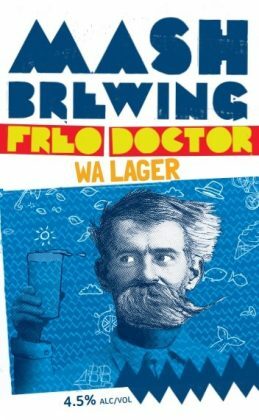 Ceramic artist George E. Ohr graces the bottle of a lager called Freo Doctor, a fresh Pale Lager brewed with Australian pale malt and two varieties of “Noble” European hops. A zesty aroma sits on top of the subtle, vanilla malt profile. The bitterness is gentle and finishes with a touch of sweetness. Did you know there are monks who make beer? Well, you know now! 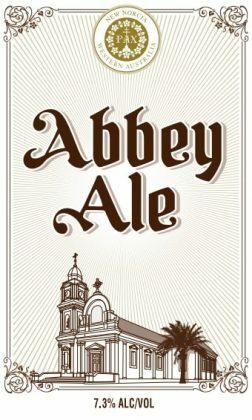 Australia’s only certified Abbey Ale, Mash Brewing collaborated with a monastery in New Norcia to bring you the subtle tastes of banana, spice and bubble-gum. 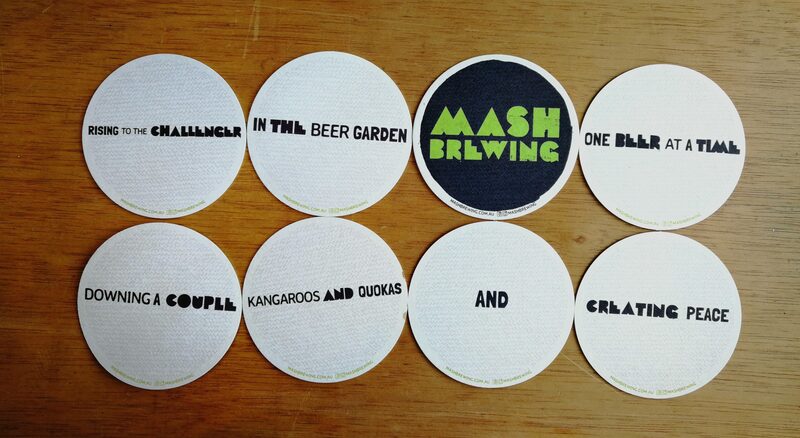 Watch this space – Le Méridien Kuala Lumpur will be bringing Perth’s Mash Brewing to add on to our craft beer scene soon. Cheers!